Legendary Fiesta celebrations, Spurs basketball games and tacos around the clock … life in San Antonio is unlike anywhere else. 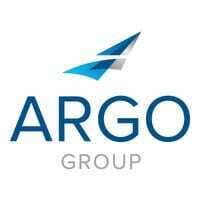 “On the Ground” offers perspectives from Argo employees across the globe. This installment spotlights the San Antonio office, where many of Argo’s corporate functions happen. Situated on the River Walk and a few blocks from the Alamo, it’s in the heart of downtown. Potential gaps in coverage in areas such as construction defects, contractors pollution or data breaches can prove costly.